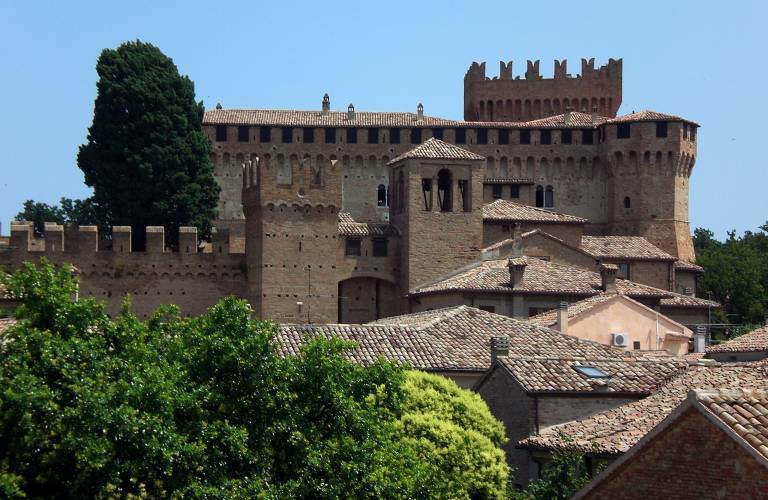 Gradara is an ancient fortified village situated inland of the coast of Romagna-Marche Gabicce and not far from the sea. 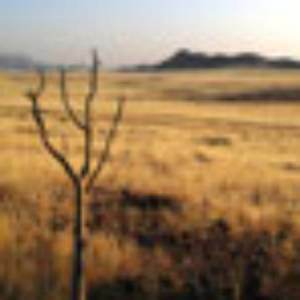 The backdrop is a beautiful, hilly landscape. He is known for its historic Malatesta Fortress, which is open and contains, in addition to the armory, a torture room, a chapel and several rooms with original furniture of the fifteenth and sixteenth centuries. 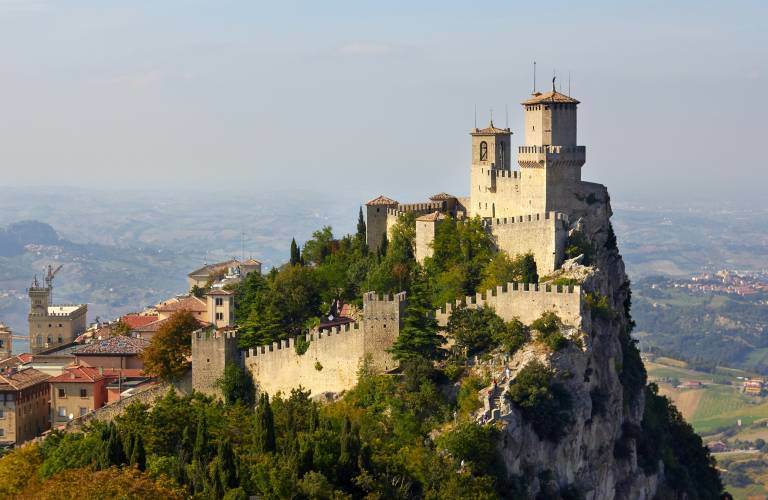 The State of San Marino is the third smallest country in Europe and the oldest republic in the world. San Marino is located on the slopes of Mount Titano Mint has its own, its own stamps, a football team and an army. Do not miss the wonderful forts associated with the three walkways below the citadel surrounded by a triple ring of walls. 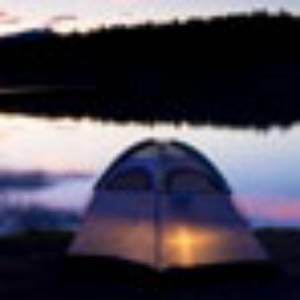 In any part of the territory, in particular from the top of its mountain, you can admire a unique and unforgettable, in the countryside of Emilia Romagna and the Marches and the hills of Montefeltro, to the Adriatic Sea. 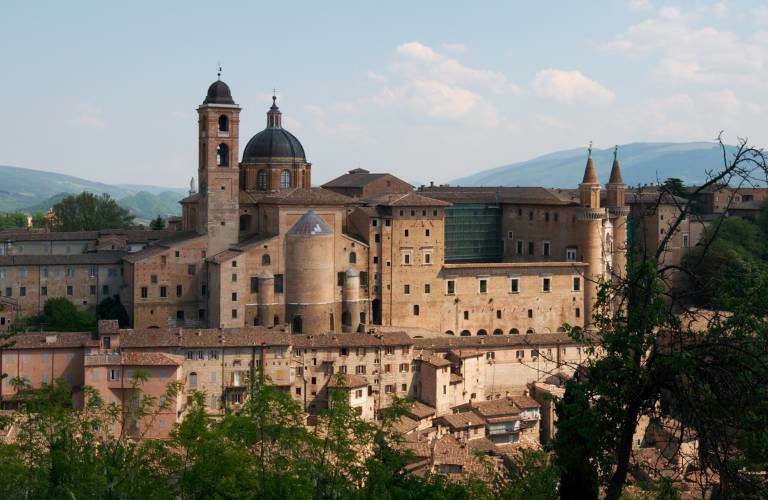 Located at 485 meters high, Urbino has maintained its nature over the centuries as a center of art and culture. 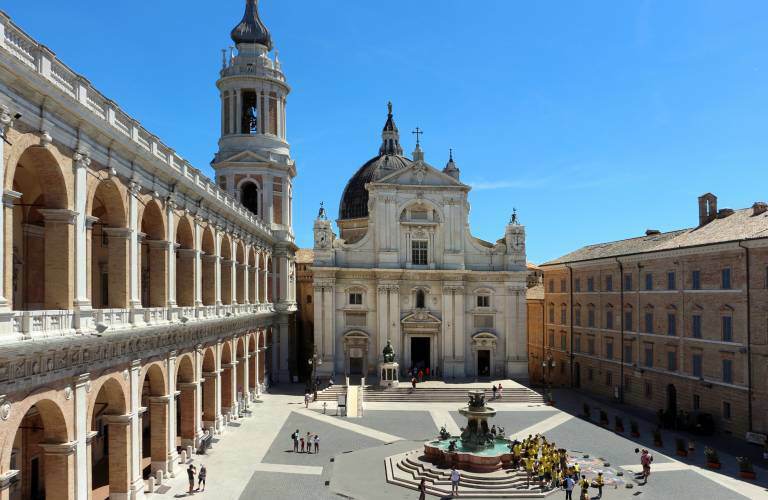 His heart is the Renaissance Ducal Palace, symbol of the city and now houses the Galleria Nazionale delle Marche, which houses many masterpieces including paintings by Piero della Francesca and Titian. Other points of interest include the House in which the artist Raphael was born and where you can admire a fresco in his youth, as well as the environments and furniture-century, the Cathedral, in neoclassical style, the Palace of the University, the church St. Dominic, St. Francis and St. Sergius. 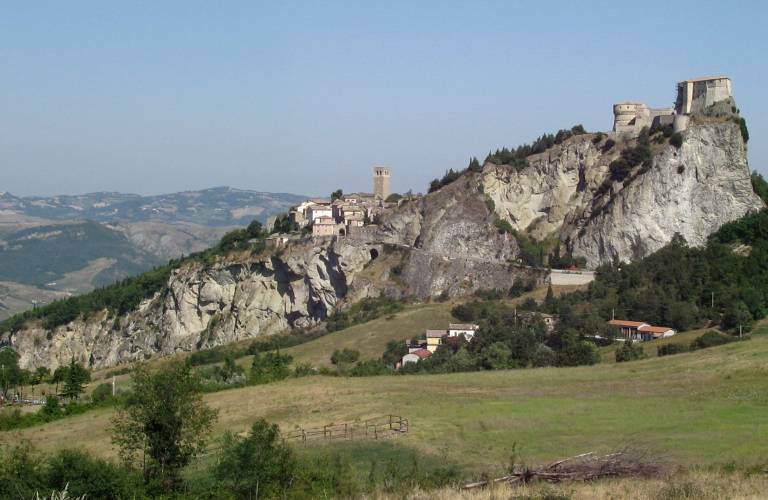 In Marecchia Valley, about 30 km from Rimini on a huge boulder, reached by a single road cut into the rock, stands St. Leo. On the highest point of the cliff stands the fortress, impregnable fortress was enlarged in 1600 and converted into a prison with convicted as distinguished as the Count of Cagliostro and Felice Orsini. The panoramic view from St. Leo is one of the most beautiful and characteristic of the region: a view over the surrounding mountains and the valley of the Marecchia to the sea. 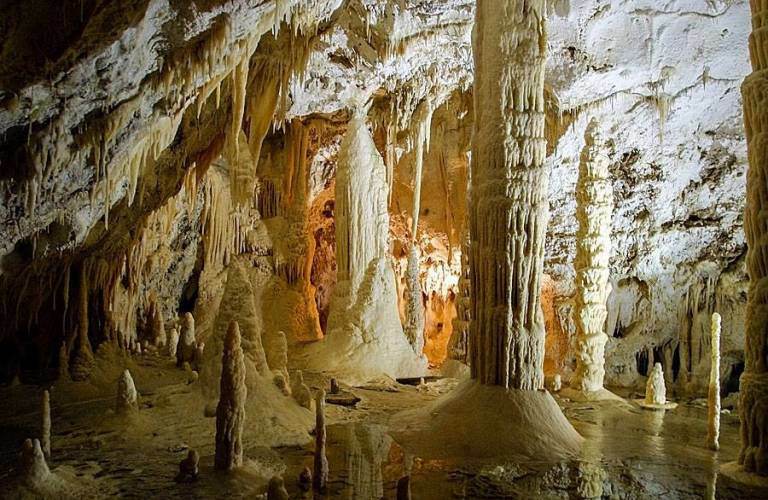 The caves of sentences that are within the Regional Natural Park of Gola della Rossa and phrases, in the province of Ancona, representing with its 30 km long underground passages of a most magnificent and fascinating world. These are underground caves whose discovery dates back to 1948. You can opt for a tourist route, accessible to all, or experience the thrill of a ride cave. Place of worship and pilgrimage for millions of believers since the Middle Ages, makes the interior of the imposing Basilica of the most important relic of Christendom, the house inhabited by the Holy Family in Nazareth, in which Mary was born and that Jesus lived up to 30 years. All this from Gabicce is at hand … do not hesitate to ask us to arrange your tour!